Do you have a dental kit for your bug out bag? I’ve seen a lot of great bug out bags loaded up with all manner of tacticool gear, tiny first aid kits stuffed into Altoid tins, and ultralight camping supplies. That’s wonderful and all, but where’s the dental kit? 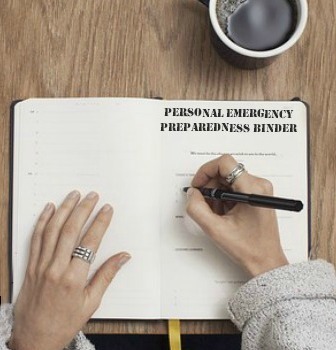 For new preppers, a bug out bag (BOB) holds the supplies you need to evacuate from your primary location to your (presumably safe) secondary location, aka your bug out location (BOL). Your bag is intended to get you from Point A to Point B.
BOBs are sometimes called 72-hour bags, a 96-hour bag, emergency bag, go bag, or get-out-of-Dodge (GOOD) bag. Whatever you call it, your bag holds your needed supplies for a limited period of time, just long enough to get to your BOL. Here’s another example for you. You are bugging out, and while eating, a cap breaks off or a filling comes out. If you have the right supplies, you can fix that and get on with your bug out. Hopefully, there is a dentist where you are going. And hopefully, that dentist’s office and still has power. But, imagine having to finish your bug out with an open cavity in your mouth. You could fall and end up with a wound in your mouth, lose a tooth, or a half-dozen other things that are prevented by regular, daily dental hygiene. If this is going to be a long-term bug out, daily hygiene becomes even more important to prevent cavities, gum disease, and infections. Everyone gets strapped for cash once in a while. Some of us pinch pennies more often than others. While wholesale clubs and buying in bulk may give you the best deal for your dollar, not everyone has the cash up front to pay for a 5-pack of family-sized toothpaste. Never mind that the family-size toothpaste is way too big for a bug out bag anyway. While I have dental kits for our family’s emergency bags already, I decided to try a dollar store prepping experiment. First, I would raid my local dollar and discount stores for dental hygiene supplies. Second, I would make dental kits out of these supplies suitable for a 72-hour bag. The first store I went to was Dollar Zone. I spent $10 and bought a bunch of stuff. I wasn’t able to find everything here. But, I did pick up some important items, plus a couple of non-dental items because I couldn’t pass them up. My Dollar Zone total was $9.50 with tax. I would have picked up toothpaste here, but they had no small tubes of toothpaste at all. Everything was just too large to make sense in a bug out bag. Next, I went to Family Dollar. This technically isn’t a “dollar store” where everything in the store costs just a buck. But, it’s a discount store that’s very similar. I made a couple of cool finds here. Total Family Dollar total was $18.06 with tax. The receipt also had a $5 coupon off a purchase of $25 this coming Saturday only. 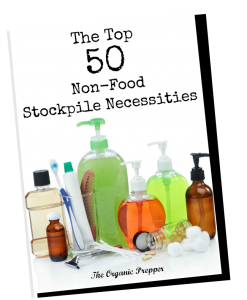 There were a bunch of other items there perfect for budget prepping, from bug out bags to food storage to first aid kits. I will make another dollar store prepping trip this Saturday, and let you know what cool preps I find. I brought my new supplies home and organized them into four kits in ziplock bags. BOBs will get tossed about frequently on a bug out. If you’re careless or have an accident, you could bust open some of your containers. The ziplock bags will reduce the risk of tubes and bottles spilling inside the bag. Each of the kits got the basics: a toothbrush, toothpaste, and floss. Each of our bug out bags has water bottles with filters. Just a tiny amount of water is all you need to get your teeth and gums clean. I also put the antiseptic mouthwash, Orajel, and dental repair kit in its own ziplock bag. This will go with the dental instruments with my general first aid/medical kit. The mouthwash can be used to disinfect the mouth in case of injury and/or infection, but also if you get a cut or small wound. Yes, it will burn, but it’s better than letting an infection spread. I ended up with four personal dental kits, and one general dental exam/emergency kit. I also added the wet wipes packs I had to three of the kits (see next section below). Here’s the breakdown. I spent a total of $28.56, with an extra antibiotic cream not included in these kits. That might sound a little high. Keep in mind, however, I put kits together for 4 people. If you are making a kit just for yourself, clearly, you wouldn’t spend as much. If I had made these for one person, the total cost for one personal kit and the exam/emergency kit would be $12.16. Here is a video I made of the final results. These dental kits can easily be upgraded into decent general hygiene kits. I only had three packages of wet wipes, so I added one to three of the kits. I should have picked up another package of wet wipes because they are really useful for staying clean when water is at a premium. Wet wipes can be used to wipe your face, underarms, and hands instead of wasting water when camping or bugging out. And, for $1, you really can’t go wrong. I would also add a small bottle of hand sanitizer. In general, I’m not a fan of hand sanitizer. It is a factor in creating antibiotic-resistant bacteria. Soap is almost always a better option as the friction from the suds physically removes pathogens, as opposed to killing them. However, when bugging out, you want to conserve water. Some wet wipes followed by hand sanitizer will help keep waste and harmful pathogens off hands, and therefore off food and everything else you may touch. Over time, you can upgrade the contents with smaller, lighter supplies. For example, folding camping toothbrushes are really handy. You can also replace the toothpaste tubes with toothpaste tablets, eliminating the possibility of the tube leaking. You can find all manner of space-saving camping gear to shrink the size of your kit. The whole point of this exercise was to get something together immediately with minimal resources. Are these the best items possible? No. Can you improve and expand over time? Absolutely. It doesn’t matter if you can’t afford a bulk purchase of mouthwash, or a specialty folding toothbrush today. But, waiting until you have the money for the perfect gear means you’d have nothing ready if a disaster happened today. What items do you keep in your own dental kit?